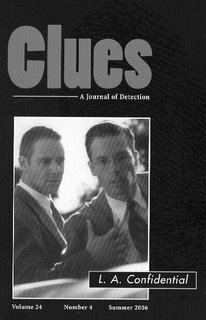 The summer 06 issue of CLUES: A Journal of Detection has been published, featuring articles on James Ellroy's LA Quartet, Raymond Chandler's portrayal of psychiatrists in his work, Lady Macbeth in detective fiction, the Nell Bray novels by Gillian Linscott, and Reginald Hill's Good Morning, Midnight. For further details, go here. I love biographies, especially literary ones, and Caroline Moorehead's Gellhorn: A Twentieth-Century Life is a fascinating one. Gellhorn's considerable literary gifts were often overshadowed by her five-year marriage to Hemingway. Best known for her reporting on the Spanish Civil War, she was profoundly and permanently affected by seeing Dachau during her reporting on WWII. The section on her reporting on the Vietnam War is particularly interesting. The most fun bit deals with Gellhorn's participation in the Mary McCarthy-Lillian Hellman row in 1980 (Gellhorn had traveled on the same ship as Hellman en route to the Spanish Civil War and disliked her). For a piece for The Paris Review (edited by George Plimpton), Gellhorn coined a new word, apocryphiar, or one who fabricates a story with himself or herself as hero, and discounted Hellman's account (in Pentimento) of life in Madrid at the time, calling Hellman's words "whoppers." She said in a letter to a friend, "[Hellman had] used the Spanish war as a garment to drape herself in." Moorehead also has edited a volume of Gellhorn's letters; more information on that here. 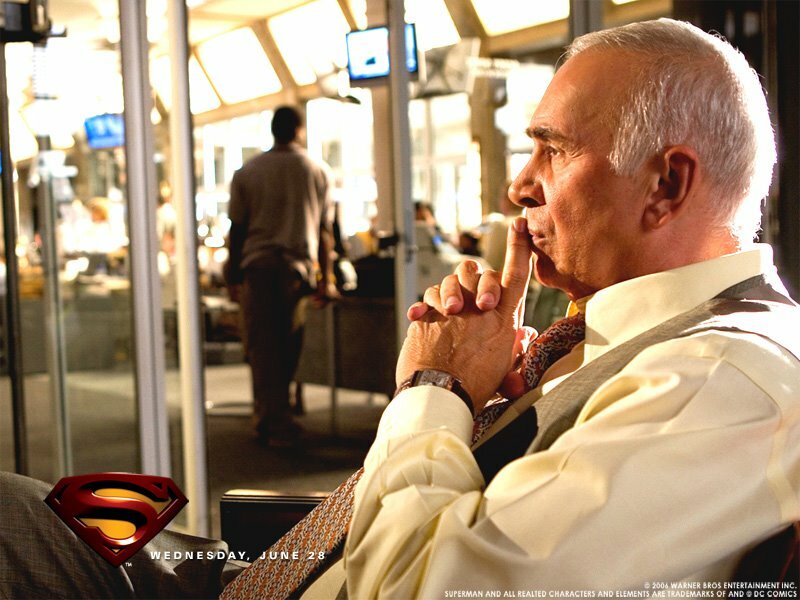 Superman Returns is now in theaters, with New Jersey's own Frank Langella (below) as Perry White. How many remember him as Sherlock Holmes (at left; photo by Jan A. Wein) in the Williamstown Theater Festival of 1977? 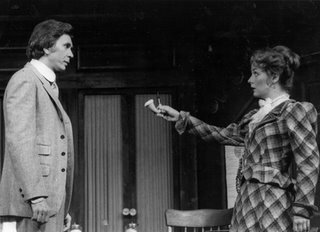 Yes, I'm a fan, a result of growing up with a relative of Langella and being fortunate enough to meet him on a few occasions. Perhaps you have your own favorite performance: Langella as the uber-evil chief of staff in Dave? As the title role in Dracula? As William S. Paley in Good Night, and Good Luck? As the roguish sidekick of Ron Moody in Mel Brooks's The Twelve Chairs? In any of his Tony-winning performances (he's won two and been nominated four times)? As a villain, he can't be beat, but I'm most fond of his turn in the Noel Coward part in "Design for Living," which co-starred the late Raul Julia and Jill Clayburgh, at Circle in the Square in New York. In it, he displayed exemplary comic timing. The Cat Who Went to Paris. Audiobooks have kept me sane when navigating Washington, DC-area traffic (as many people seem to get behind the wheel after having frontal lobotomies). A surprise treasure was Peter Gethers's The Cat Who Went to Paris. Former publisher Gethers relates his journey as a confirmed cat hater to cat lover when he adopts Norton, a Scottish fold feline (a breed where the ears are folded down on the cat's head); takes Norton wherever he goes, including restaurants; and watches the intelligent Norton captivate the world. One of the many amusing tales is Gethers's comparison of Spain and France. The Spanish border guards were insistent that Norton needed papers to enter the country (this was a simple day trip). On Gethers's reentry into France, the French guards only had this to say: "Bonjour, Monsieur le Chat. Ca va?" ("Hello, Mr. Cat. How's it going?"). The Cat Who Went to Paris is no cutesy cat book but a captivating memoir in the tradition of Peter Mayle's Toujours Provence.